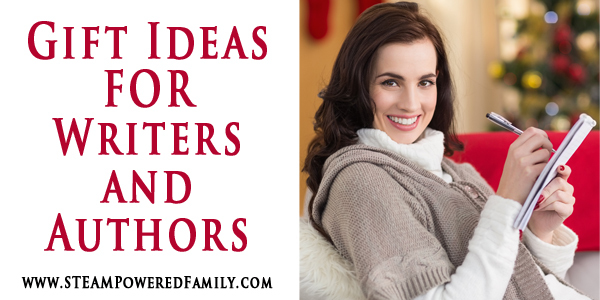 Here it is, my gift guide for writers! I’m a writer, I always have been. So I’m often asked by other people what kinds of gifts they should buy for the writer in their life. Writing is my passion and I love encouraging other writers, so here is my list of must have items for writers. Click on the images for more information on each product. The main things a writer needs, besides an amazing imagination and tenacity, is the proper tools, pens, paper, software and maybe a little comfort and inspiration. With that in mind I’ve picked a few of my favourite items. Pens are so important! Although I write on the computer a lot of the time, I still find putting pen to paper so much more satisfying. I can take my time and let the words really flow and gain life. But there is nothing more frustrating than crappy pens. My favourite pen for writing is the Bic Velocity Gel with medium tip. I’ve tried hundreds of pens over the years and this one is my personal favourite. In addition to a good pen, every writer needs a fantastic, inspirational journal. I have so many journals! The key is to find one that is small enough to be carried around easily. Nothing is more frustrating for a writer than to be out and have an idea strike, only to discover they have no pens or paper. As a Doctor Who fan one of my favourite journals to carry around is my mini Doctor Who journals. Find your writer’s passion and get them a journal that will inspire their muse! Writing in a journal or notebook is great for getting those initial ideas down but a true writer with dreams of being published needs the right professional tools. Scrivener is a professional writing software that offers everything a writer needs to create and publish their masterpiece. Being an amazing writer doesn’t come without hard work and studying. Every author I know has a shelf full of books dedicated to improving their skills, providing references and as inspirational resources. On Writing by Steven King is such a great book for writers just starting out. It is full of practical ideas and inspiration on this crazy journey we writers insist on pursuing. A wonderful addition to the shelf of a new author. The Emotion Thesaurus is a really cool idea. One of the things a lot of new writers struggle with is coming up with new ways to convey emotion. You can only say someone is sad or happy so many times. This book gives you suggestions from descriptive words and phrases to using body language to convey emotion. An excellent tool for all writers. Punctuation is so important and understanding the rules of your craft is critical. This book is a wonderful reference not only for writers who aspire to publish a novel but for anyone wishing to become a better communicator using the written word. Working at a computer or putting pen to paper is a very stationary activity and I always start freezing while writing! My go to arm warmers keep me warm and cozy while the words are flowing. Plus they look really cool! Every writer needs to stay hydrated (and caffeinated! ), why not also keep them inspired at the same time. This mug features some of the greatest opening lines in literary history. Exactly what your writer needs to help inspire greatness in their words. One of the greatest gifts you can give a writer is the freedom and time to write. It costs nothing and giving them the space they need to follow their passion and listen to those characters that are always chatting in their minds. Truly, this is the greatest gift of all for a writer. If you have a young writer why not consider writing with them? Working together you can nurture and develop their passion. And maybe even publish the final product like I did with my son. And if you are looking for a book to inspire a young reader, here is the middle grade novel my son and I wrote together. You can see all my books here. I hope you enjoyed this gift guide and it has given you some inspiration. If you have more ideas, please share them in the comments. You have great ideas here. I see a lot of things that i would love to get for Christmas! Scrivener is at the top of my Santa list! These are all my favourite writer goodies in my little cave 🙂 You won’t regret Scrivener! They offer a great free trial if you want to give it a test run.